Many people enjoy having a wood-burning stove or fireplace in their homes for the warmth, comfort and homey feel it can bring -- especially in the cold of winter. But the firewood that is brought into the home for that fire isn't always quite as comforting, as there are a numerous household pests that can be carried in with the firewood. Thankfully, control of firewood pests is primarily a matter of correctly storing the firewood outdoors and taking a minute or two to check it before you bring it into the home. The following are 10 ways to help keep firewood pests out of your home. Woodpiles should never be stored up against the house or other buildings because wood-boring pests can easily tunnel directly from the wood into the structure. Thus, by stacking wood against your home, you are essentially inviting wood-boring pests to take up residence in your home. It is recommended that firewood is stored at least 3 feet from a structure. Stack firewood off the ground. Concrete blocks, bricks, or firewood grates can be used to keep the wood from directly contacting the ground. Maintaining airflow beneath the pile also helps reduce moisture problems which attract insects. Store firewood away from trees. Do not pile wood next to or near living trees because insects from the firewood pile, such as bark beetles, could crawl over to the live tree and tunnel beneath its bark, and cause severe damage. Firewood should not be stored indoors in any area – in the home, basement, or garage. Insects can emerge to take up residence within the structure, and the firewood pile can also provide attractive harborage for rodents or other wildlife or insect pests. New wood that is cut in the summer should be piled in a sunny area and covered; this will help to kill off any insects that are infesting the wood. To further minimize new infestations of spring- or summer-emergent pests, cut wood in late summer to late fall, and know your state and local regulations on transporting firewood. Practice FIFO: First In/First Out. Use the oldest wood first, restacking the pile periodically if it makes it easier to access the older logs. This will help to keep pests at a minimum as you are not allowing infestations to build up. And it will help keep anyone from carrying infested firewood into your home. When untreated firewood is carried from one location to another, it can bring non-native insects along with it. If it is then piled outdoors, the insects can crawl out from the wood to begin infesting and breeding in new areas. If you do have wood that is not from a local source, it should be burned as soon as possible to kill off any pests in the wood. 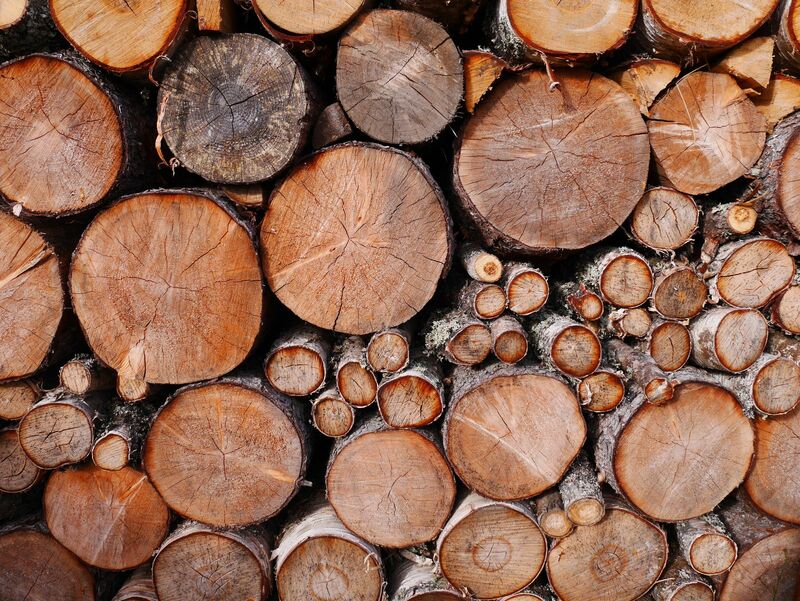 Before bringing wood into the house to use in a fire, inspect every log: look them over, shake them, knock them together. Get rid of the pests that are on the surface or beginning to emerge. If using a carrier that's been set on the ground, be sure to check the bottom of it for any insects that may be clinging there. Spraying wood is not recommended as this could cause harmful vapors when the wood is burned. Burn firewood immediately when brought indoors. Few insects are active outdoors during the cold winter months; rather they will overwinter in sheltered spots – such as within or between firewood piles. If the wood is brought indoors and not burned immediately, the insects can crawl out from the wood into the warmth of your home. Indoor control of firewood pests. Most of the pests that cling to or infest firewood are more annoying than they are destructive. If they are brought into the home, they can be simply swatted, swept, vacuumed, or sprayed (following label directions of any pesticide used). Prevention is important, because some wood-boring pests, such as carpenter ants, can come in with your firewood, seek new shelter in your home, and damage the structure.